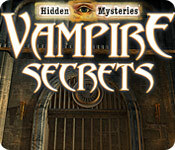 Hidden Mysteries®: Vampire Secrets is rated 3.3 out of 5 by 20. Rated 5 out of 5 by PixieSpirit from Great game except for the ending Engaging game. Many different scenes with challenging mini games. There is a lot of back tracking due to needing items to advance. I love that though. I think it's worth the money. I also liked that there is support available if you get stuck. Rated 4 out of 5 by wiccan73stars from Where's the ending? 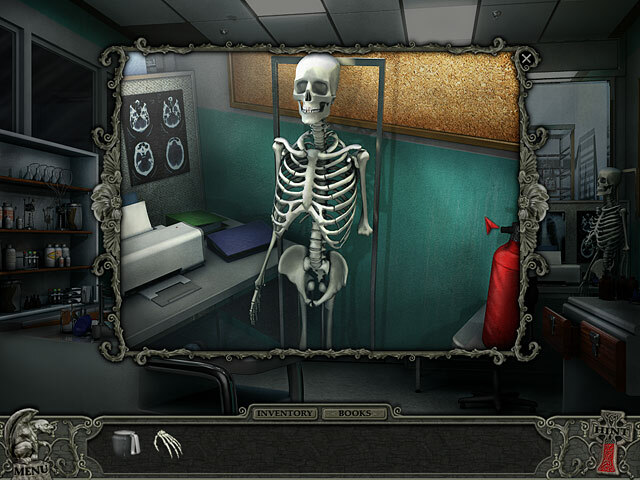 A great HOA game overall, excellent puzzles, well done VO for the characters, hints if needed. My only disappointment is it leaves you hanging at the end of CH 10!!! There is no finality to the game and no sequel either! I'd only buy it if it was on sale or with a free game coupon. Rated 4 out of 5 by RVKittykat from Entertaining enough I found this game entertaining enough although the plot was a bit silly. It wasn't boring though as it moved along at a steady pace. It wasn't just repetitious scenes of HOs. I'll probably keep and play it again somewhere down the road. Rated 4 out of 5 by rosekaufmann from NICE GAME BUT STORY LEFT SOMETHING TO BE DESIRED About 4 ½ hours. Storyline: Claire has “visions” and decides to take a vacation at Aunt Rosie’s, where she spent much of her childhood. A note from Aunt Rosie says she’ll be gone a few days warns Claire to be careful if she goes out at night. Nice graphics. Very limited number of scenes in each location and, once done with it, you are automatically taken in a cutscene to the next location. The cutscenes will tell you a little more about the story. 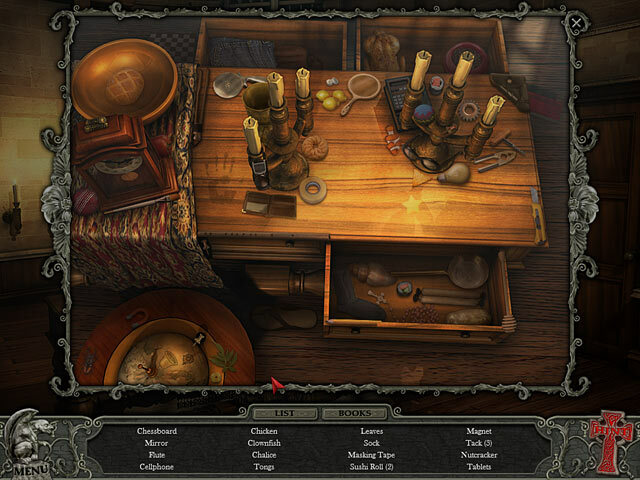 GAMEPLAY: A nice ratio of HOS scenes, which are nicely done (i.e., not dark, uncrowded, and easily deciphered items). Although I had no difficulty completing the locations, at times it was a mystery (but quickly solved since there were few places to go or things to do) of what to do next. Puzzles are varied in composition and difficulty, but most are not too difficult. 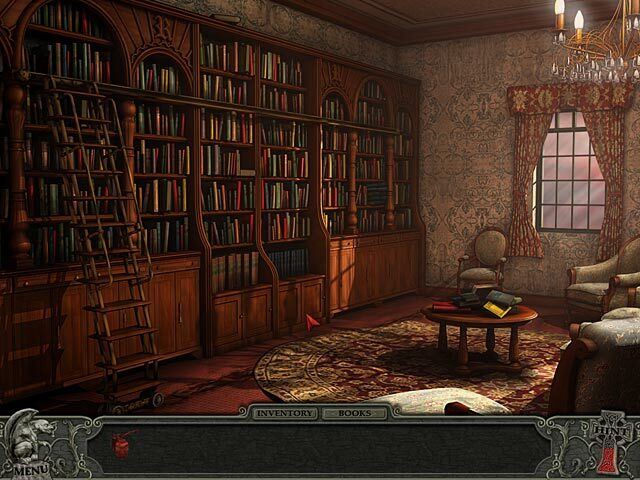 Collect books (many are in HOS) and refer to them for useful information and clues for the puzzles. Books are retained in their own inventory tray. You have to actually close any pop-ups, not just click outside of them. Hints work within the HOS, but are not very helpful when outside the HOS – it will show you only any clickable areas, exit arrows and magnifying glass. Hints will not tell you want to do or where to go. It is sometimes hard to pick items up from the inventory tray – I usually had to try twice to actually pick an item up. Near the finale, game becomes a bit more complicated (it was rather uncomplicated until this point). Claire goes back to Aunt Rosie’s, where she finds a map. Claire comments that it explained why Rosie wanted to get out of town – but it was still a mystery to me. Perhaps someone can explain it. After the finds the map and tries following it, she ends up at a castle, which has a lot of rooms and things to do. Until you get to the castle, there is not much back and forth. Ending was largely satisfying but where is Aunt Rosie? Rated 4 out of 5 by grunny50 from Loved this game! After reading many of the reviews, I'm still very glad I bought this game. I love, love HOS's, and there are plenty of those in this game. I liked the chapters being broken up into different settings, and I had no problem with the flimsy storyline. It was fine by me, since I purchase mainly for the HOS's and puzzles, anyway. The objects to find were definitely very small, but I need a challenge! Rated 4 out of 5 by katbeth01 from Salem Secrets is still my favorite Hidden Mystery! I liked the game alright but the ending was messed up!! I thought I missed something or another level was coming up or something. Very wierd! Rated 4 out of 5 by mspaws from Too much thinking for me! I dont like this type of game and wish this one had more HOS and less of the finding of articles to use somewhere else, but over all it is still a great game! Rated 3 out of 5 by mymetime from Disappointed, actually... This looked really promising, I totally loved the other 'Hidden Mysteries' game I've done, but I spent this whole game waiting for something to actually happen!! The 'vampire' bit is rather misleading - maybe if it wasn't in the title and came as a surprise it might have been ok. Even the puzzles were all so easy... Really disappointed. This would probably be really good for a beginner, with all the easy puzzles. Rated 3 out of 5 by paramiti from Good HOG This is Not an Adventure Game.. It IS a HOG with a Story.... For what it is.. Its Good .. I just dont like many HOGS.... They are not my thing.. For someone who Does like them... This is a Good Game.... Story was OK.. Ending lame... For those that Enjoy Adventure Gaming and are not as partially to HOGS... Try HIDDEN MYSTERIES SALEM SECRETS For a Much BETTER GAME by the same folks... PROS... Nice HOS Hint system will show you potential directional options Great Feature for last half of game when you have Loads of places to go to... CONS... For some reason this game was not registering my clicks Often I had to click over and over for the game to Get It..